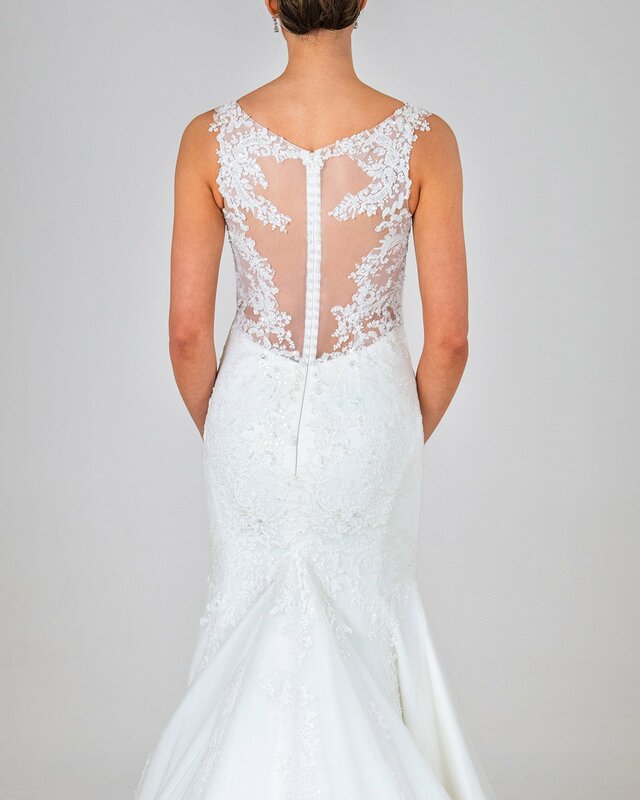 Our tulle illusion boat neck, laced and beaded fitted gown with stunning applique laced back. 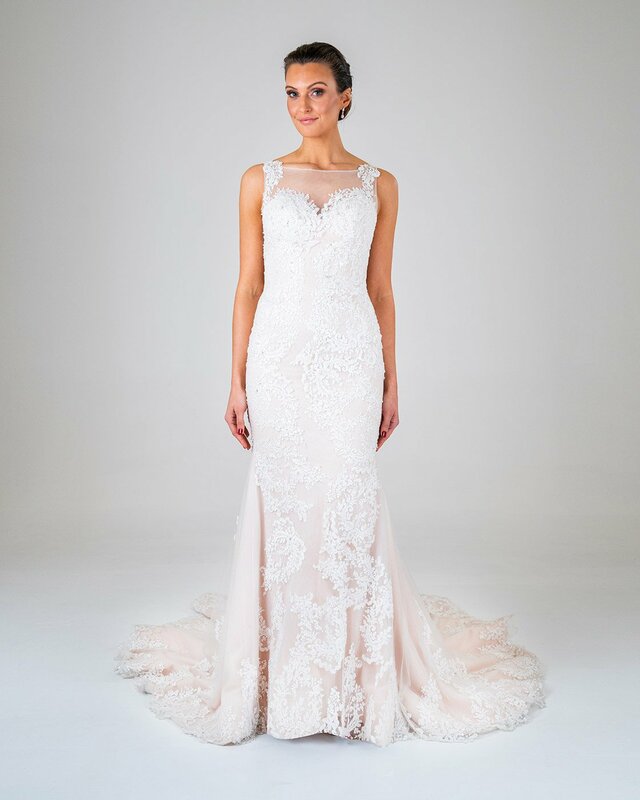 With pearl buttons, a large circular train and stunning lace detail, this beauty is perfect for those wanting to accentuate their height and figure. 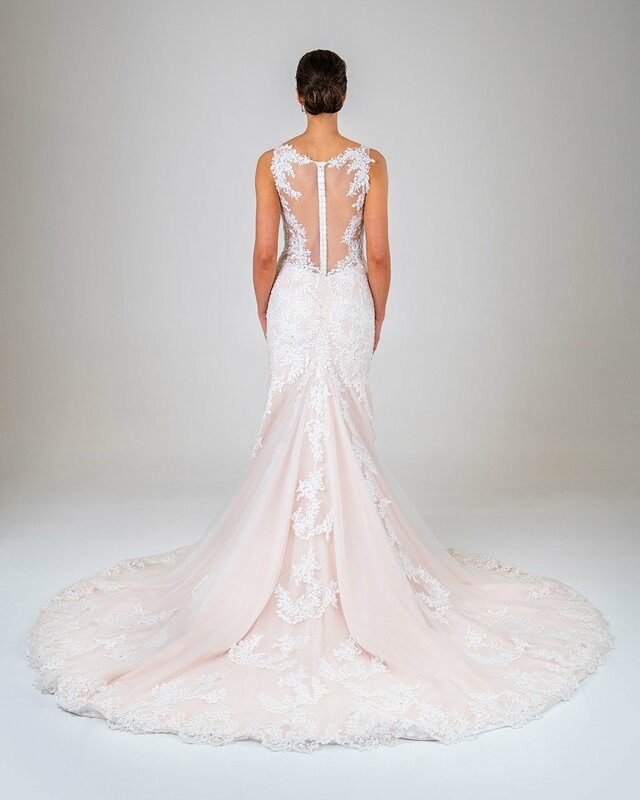 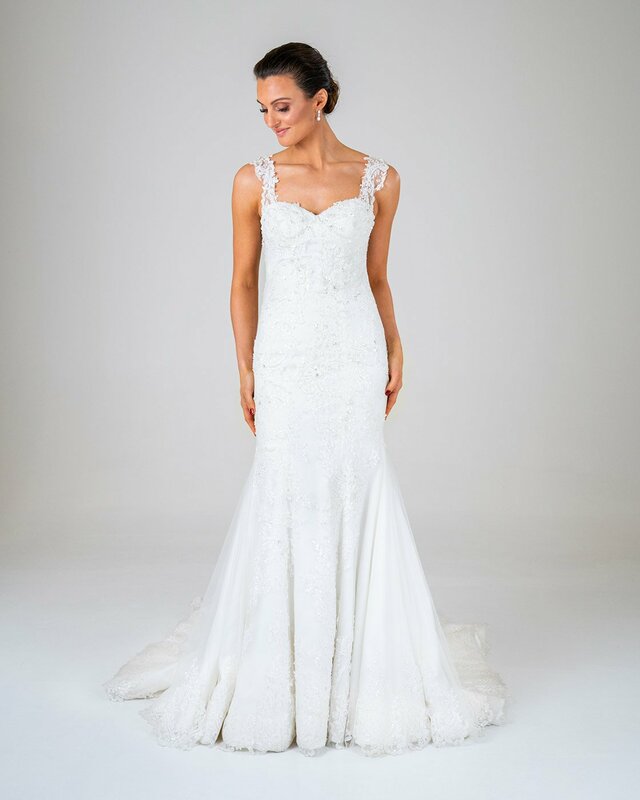 As with all our gowns any design changed can be made such as, strapless, no neckline tulle, spaghetti straps, open bust plunge, off shoulder, smaller/longer train, heavier beading, a variety of colours, full princess style skirt, A-line fit, interchangeable lace and more.